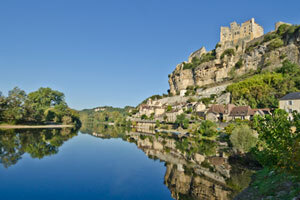 Beynac and the Dordogne river, Aquitaine. 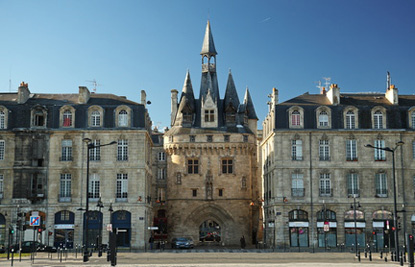 The gastronomy of Aquitaine is dominated by such praised specialities as foie-gras, confit de canard (duck confit), truffles and cep mushrooms. The Basque country and Pyrennees have a completely different cuisine of their own though, much more fish oriented. Famous people from Aquitaine include (chronologically): the politician and philosopher Michel de Montaigne, King Henri IV of France, the political thinker Montesquieu, Charles XIV John of Sweden (né Jean Bernadotte), the composer Maurice Ravel, the Nobel Prize author François Mauriac, the politician Alain Juppé, and the singer Francis Cabrel. 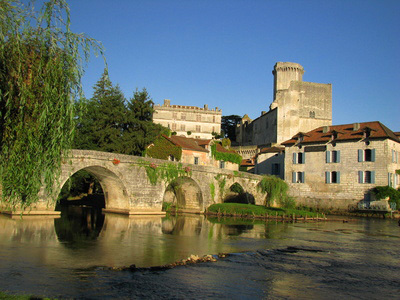 Named after the Roman province of Aquitania, Aquitaine originally expanded to all the area south and west of the Loire. This huge region became a Visigothic Kingdom in the 5th century, then was conquered by the Franks between 507 and 531. 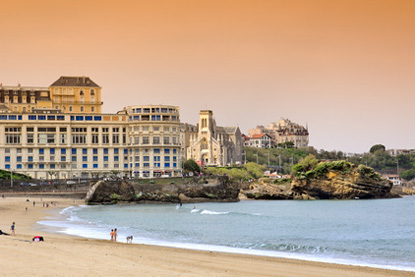 The southwest corner, near the Basque Country, became known as Gascony (a name itself related to Vascon, another term for Basque), and corresponds more closely to the boundaries of the modern region of Aquitaine. 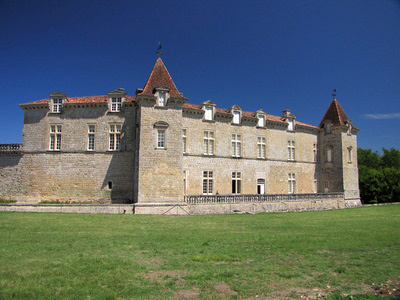 The confusion between the terms Gascony and Aquitaine is further stressed by the existence of the ancient Aquitanian language, which was spoken in medieval Gascony, not in medieval Aquitaine. 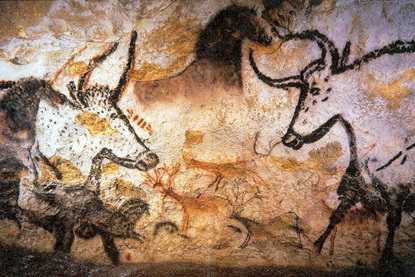 Ancient Aquitanian is thought to have been related to Proto-Basque, and therefore not part of the Indo-European linguistic family. 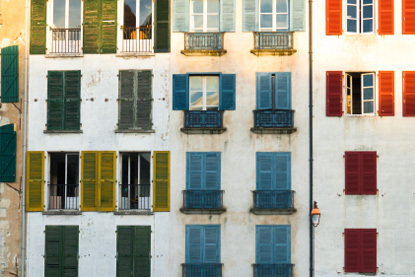 Population genetics confirmed a similarity between Gascons and Basques that fades progressively towards Bordeaux. 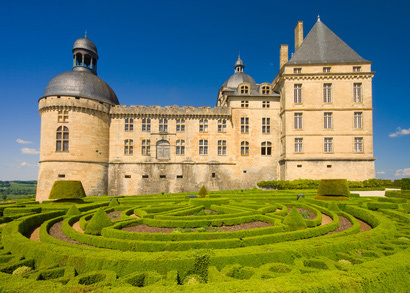 Aquitaine became a powerful duchy in the Middle Ages. In 1154, it came under English rule through the marriage of Eleanor of Aquitaine to Henry II of England, and remained English until the early 15th century. It is during this period that Bordeaux wine was first imported in great quantity to England, where it became known as 'claret' (a corruption of the French clairet). 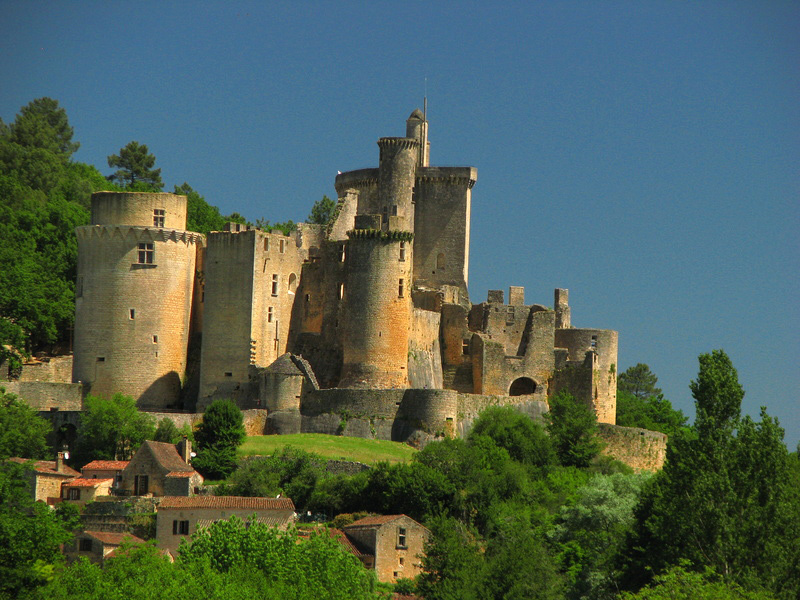 Completed in 1510, Bonaguil was one of the last defensive medieval castles built in France. 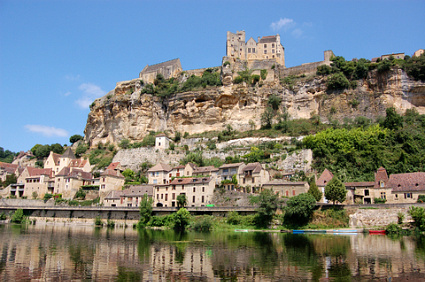 It is located at the confines of the traditional provinces of Périgord and Quercy.